Aside from providing the ideal aquatic environment, it is also essential to choose the right fish food for your fishes. In that way, your fish can gain the nutrition that their body needs. It also increases their lifespan under your care. Purchasing fish food online has never been easier with our top 6 best fish food list. We’ve rounded up with the best brands for your fishes. Here are the following fish foods you should check out and why you should consider trying them on your pet fish. 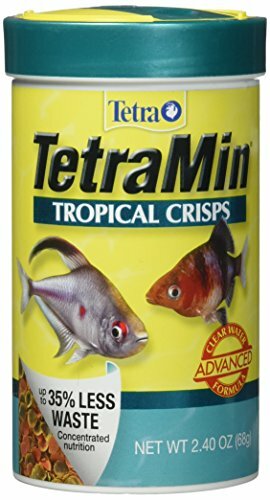 The TetraMind Tropical crisp utilizes an advanced formula to give your fishes the optimal nutrition they need. This healthy and easy to digest fish food is rich in vitamins and carbohydrates. In just a few weeks, you will notice the unusual pop in your fishes swimming inside the tank. This fish food is ideal for pet owners who wanted to reduce the fish waste and improve the clarity of water inside the aquarium. Compared to other flake foods, it produces 35% less waste for crystal clear water inside the tank. It uses color coding to showcase the benefits to your fishes. The green spots help in promoting spirulina algae that can intensify the vibrancy of your fish’s color. Red spots refer to the high level of carotenoids that also improves the color. Last is the orange spots that promote muscle growth by providing a high level of protein krill. Check out the Saki-Hikari growth formula floating pellets for your fishes. If you are worried that your fishes are smaller than the average size, this pellets can promote fast growth thanks to its perfect nutritional balance. The protein and carbohydrate-packed fish food offer a complete nutritional package. It also contains a source of live (viable) naturally occurring microorganisms (probiotic). This is ideal for koi breeders who want a larger koi fishes swimming around. Now you can provide your Koi fishes of the complete levels of vitamins they need to grow and achieve the championship body that all deserve. Use this fish food in water temperature above 68-degree Fahrenheit. 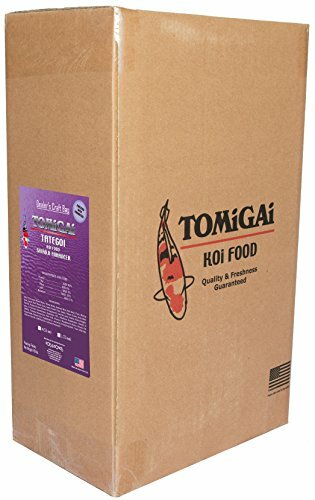 Check out this premium koi fish food from Tomigai. It contains 40% of protein with its main ingredients coming from a pure white fish meal. 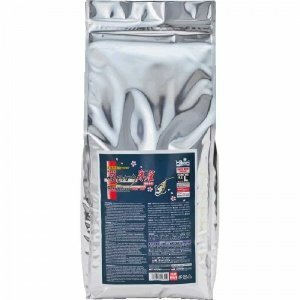 The primary target of this fish food is to enhance the shiroji of your Koi fishes with the help of kelp or seaweed. This fish food contains wheat flour, soybean meal, squid meal, krill meal, garlic powder, fish oil, and wheat germ to provide the highest nutritional value that your fish needs to survive. It also contains vitamins and minerals that can help them grow faster and gain muscles. This fish food contains 40% protein, 6% fat, 3% fiber, and 9% ash. Now you can breed your Koi fishes faster thanks to this fish food. It can also help to reduce serious health threats to your fishes. Reduce the risk of illness and death with this fish food for your koi fishes. 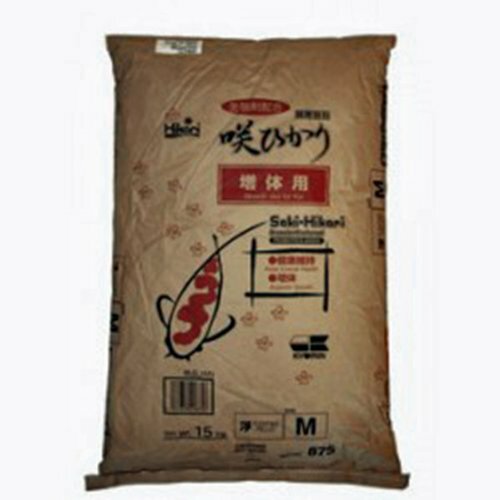 This Hikari food floating pellet is ideal for large koi fishes. Thanks to its natural ingredients, it can reduce the chance of discoloration in your koi and goldfishes. It contains concentrated levels of carotenoids to promote deep coloration. The fish food includes a Hikari-Germ, alive and viable living microorganism (probiotics) and blended ingredients provide the nutrients that your koi fish needs to grow faster. It’s easier for your bio-action to decompose due to the higher surface area as it turns into a powder when wasted. As a result, you have a clearer and cleaner water for your fishes. Your pond will require little to no maintenance from now on. This fish food provides a healthy diet, especially during summer season. This sizeable floating pellet from Total Koi Incorporation contains 50 pounds of fish food in every container that can promote fast growth in both koi fish, goldfishes, and other pond fishes. 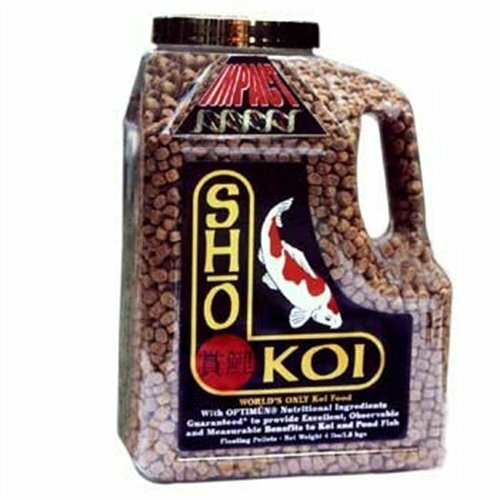 The Sho Koi premium fish food helps in providing all the nutrients that your fish will need to enhance their immunity. Because of its natural ingredients, they can achieve boosted immune system and excellent health. If you want to achieve optimal growth in your pond fishes, consider this premium koi fish food. It also helps to provide vibrant color to your fishes and reduce the risks of diseases and illnesses in your pond. Check out the 4.00 MM pelletized fish food from Custom Aquatic. Because of its small size, small to medium fishes can swallow it quickly. 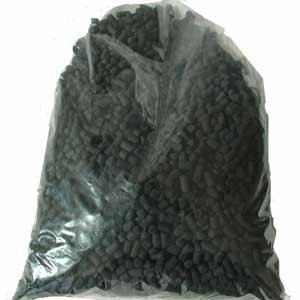 This premium bulk activated carbon fish food provides the full package nutrition for your fishes. The fish food is not limited to pond fishes only but can cater to a wide variety of other fishes as well. Because of its activated carbon, it can absorb the toxins and reduce the risks of illnesses. If your fishes are sick or show signs of inactiveness, you should consider this product. It can provide optimal results for as early as two months. Notice the sudden change of energy level of your fishes thanks to this premium fish food.